Get Your Auto AC Charged! Broken car air conditioning? Don’t sweat it. Bowe’s Exxon Car Care Center will keep you cool all summer long. There’s nothing less comfortable than slipping into your car like it’s a sauna on a broiling summer’s day. Bring it into Bowe’s Exxon and we will restore comfort and climate control to you and your passengers! Even if the system may appear to be functioning, many times air conditioning mechanics can be tweaked for better performance. It is recommended that drivers schedule a check-up for their vehicle annually to ensure a vehicle is running at its full potential. 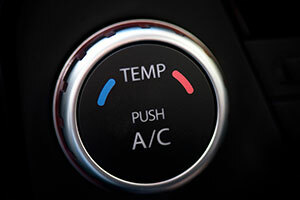 As you well know, a vehicle’s air conditioning works year-round. Not only does it work hard to keep you refreshed in the summer, but it also warms the brisk, bitterly cold air in the winter. While comfort is important, safety is the number one concern of automobile operation. If the driver is concerned about the temperature in their car, that is a distraction from the road. Maintain focus and climate coziness. A smart car owner knows Bowes. Bring your car or light truck to Bowe’s Exxon Car Care Center if you’re near the Conshohocken, PA area for AC inspection service or the have your autos air conditioning system charged.